If you just concluded your search for the EW issue with Outlander on the cover, your next search is just beginning. 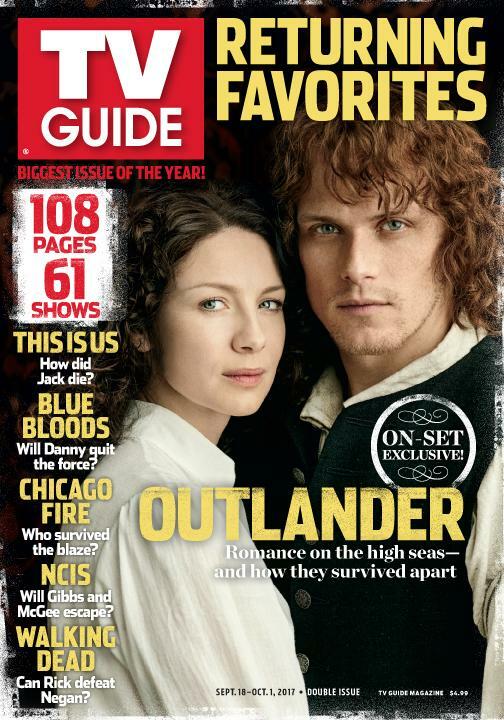 Jamie and Claire (Sam Heughan and Caitriona Balfe) cover the latest issue of TV Guide Magazine. It is the September 18 – October 1, 2017 double issue. Outlandish Dram shared what can be found on the inside of the magazine. No new photos, but I am sure there are some good tidbits in the article. People have already mentioned that the cover looks like a photo of Luke and Leia from Star Wars.